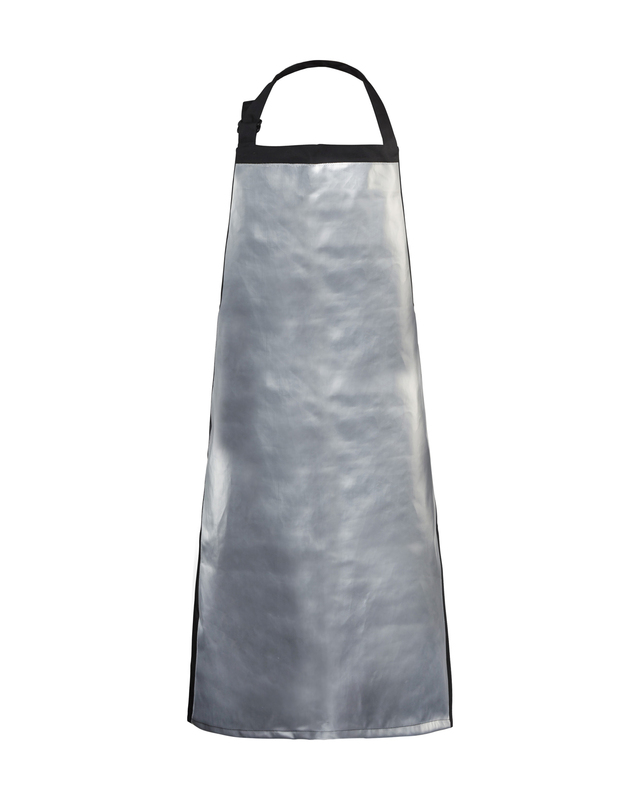 Durable welding apron with special reinforcing fabric that repels molten metal. Protects against iron, zinc and aluminium and is industrially washable. Certified according to EN ISO 11611 klass 2, A1+A2: EN ISO 11612 A1, A2, B1, C1, D3, E3, F1. Heavy but still flexible fabric for hard environments. Certified for welding class 2. The fabric is certified EN 1149-3, EN 61482-1-2 class 1, EN 61482-1-1 ATPV = 13,3 cal/cm², EN ISO 11611 class 2, EN ISO 11612 A1 A2 B1 C1 E3 F1. Oeko-Tex® 100 certified material.